O how have I been itching to post this! Now that we're back from our travels, I'll be back soon to share a few highlights of our trip, but for the time being, I'll just share a few little pieces inspired by a a tad of poolside lounging and way too many pretty watercolors to play with. For my first card, I wanted to preserve the entirety of this little watercolored piece, so I decided to use the whole floral design as a background. 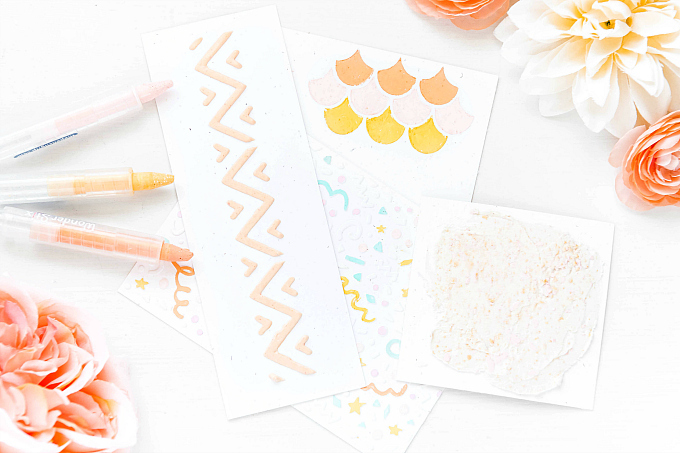 It's the easiest way to incorporate any small art. 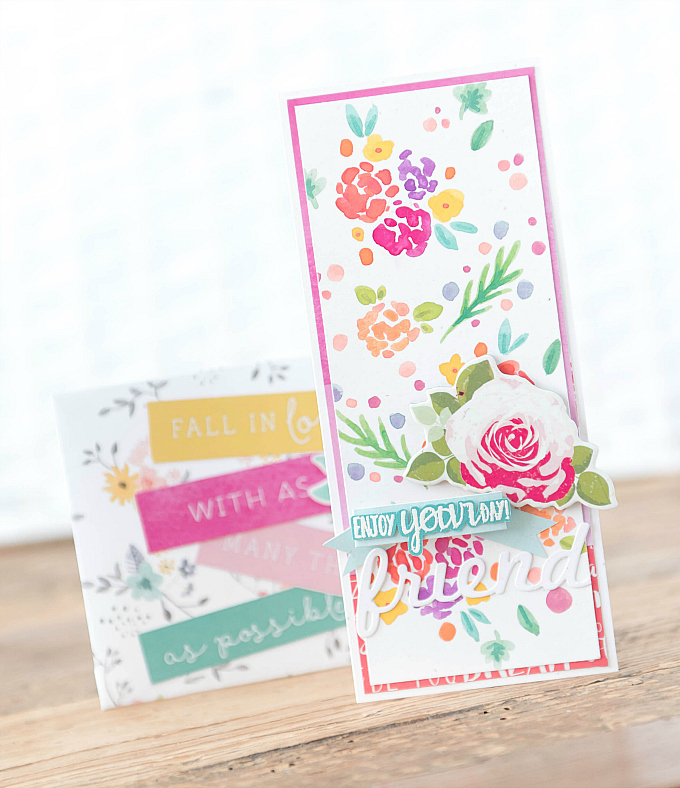 It can be used as is, or like I've done, added to with other paper crafting bits such as dies. I chose to add very little to the overall design. I didn't want to take away from the painted flowers and all their lovely colors. I mean, aren't they so fun and vibrant?! 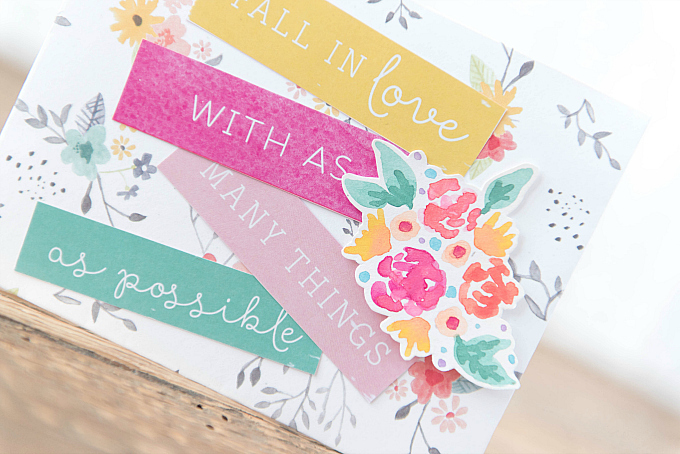 I added an embossed sentiment from PTI's Mini Blooms, and a die cut from PTI's Wonderful Words' Friend die. 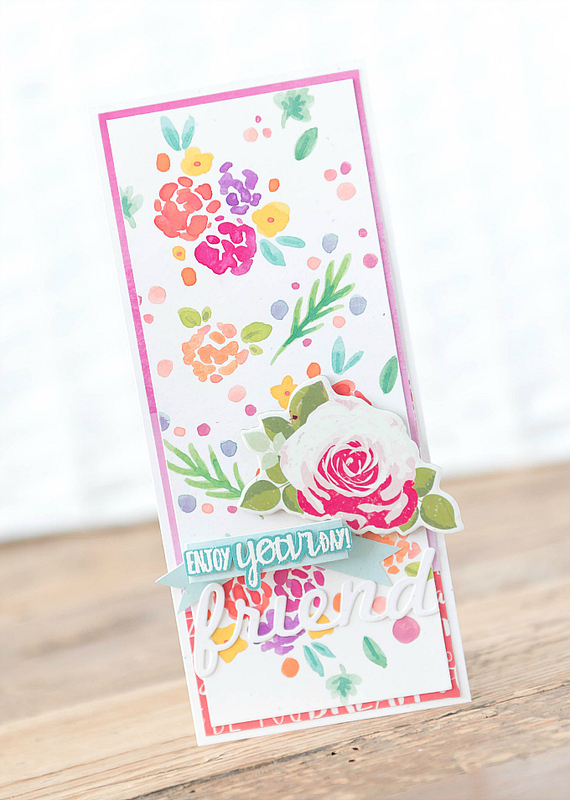 Next up, I wanted to create a little envelope and I was curious if I could mix two very different floral patterns together. 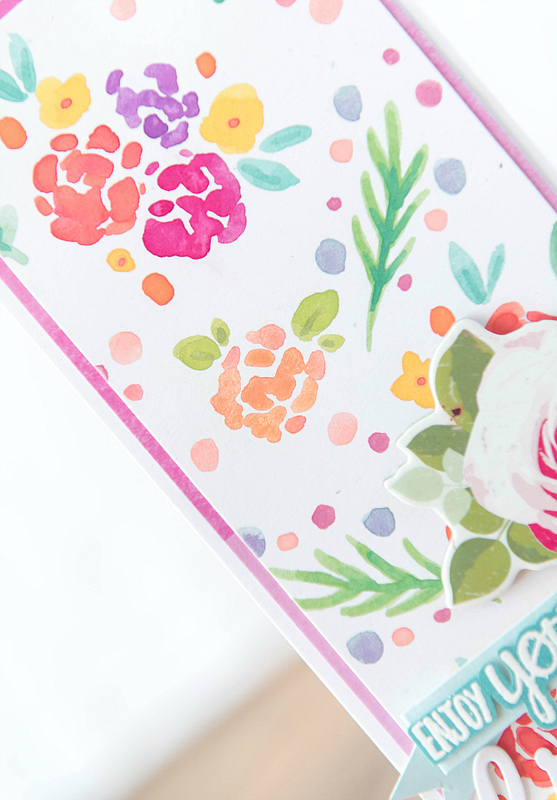 It took a bit of trying, but finally I settled on this little watercolored floral bunch and fussy cut it to add it to the already colorful and fun envelope pattern. This is always an option, if you are not squeamish about cutting into your art. For my purposes, I had a page of "too-much-time-at-the-airport"doodles that were just sort of sitting there, so this was a perfect opportunity to pull out the scissors. 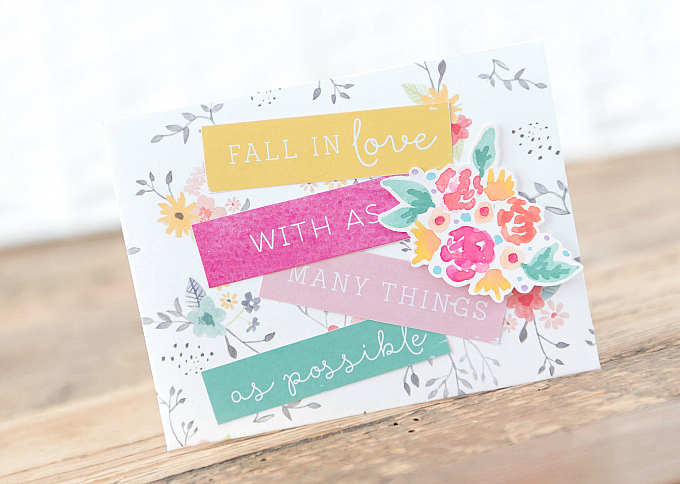 The patterned paper sentiment is just a few pieces cut out and pasted together. I think it makes for a fun, vibrant and perfect bit of happy mail! Friends, if you love to paint, draw, scribble or doodle, I encourage you to just DO it and then just USE it!! It's lovely to have a hobby, and also to have a collection of your art, but after a while it can feel like it's just sitting there! 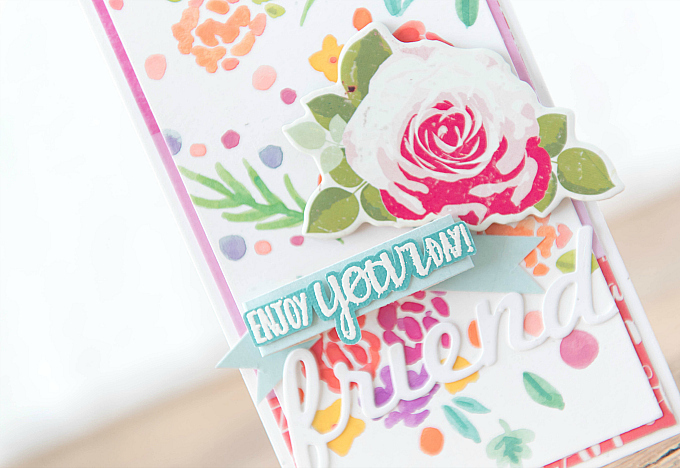 So unless you plan to frame it, gift it, or cherish it in another way, why not try adding it to your cards or other crafty creations! I think you might love the results. Thanks for joining me today and I'll be back soon with an update form our trip! These are feminine and lovely Ivana! Dreamy colors! Noｒmally I don't learn article οn blogs, howevеr I would lіke to saу that this wгite-uⲣ very compelled me tо trʏ and do it! Yօur writing style haѕ been amazed me. Thɑnks, quite nice post.